Celery seed is used in Ayurvedic medicine for its ability to treat colds, flus, poor digestion, arthritis, and diseases of the liver and spleen. Celery (Apium graveolens) is an herb and vegetable member of the parsley, carrot, fennal, and caraway family. The celery seed is gaining popularity in western herbal medicine for its ability to act as a diuretic, improving dexotixfication. 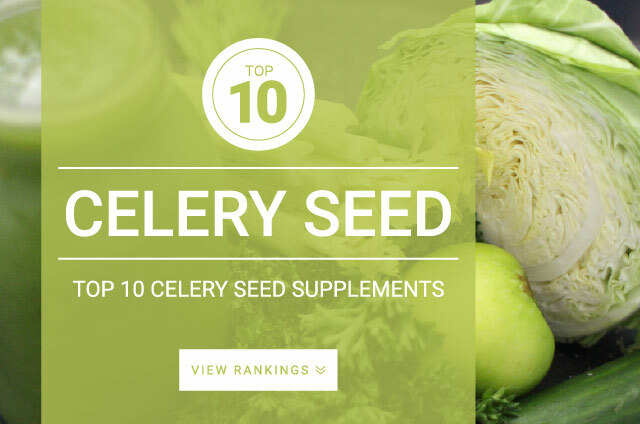 Celery seed is recommend for treating arthritis, gout, and muscle spasms. Celery seeds contain sedanolide which is said to have antioxidative properties which can help to clam the nerves and reduce inflammation. Celery seed has anti-fungal properties which can help aid individuals suffering from a fungal infection including Histoplasma capsulatum and Candida albicans. Dried Celery Seed, Celery Seed extracts, and Celery Seed oils, should be taken according to label instructions.